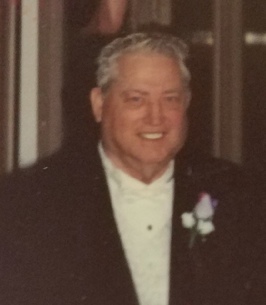 Franklin J. Calkins, age 92 longtime resident of Lake Geneva, WI and formerly of Newberry, MI passed away at Arbor Village in Lake Geneva, WI on Tuesday, August 28, 2018. Frank was born August 25, 1926 in McMillan Township, MI. He was the devoted husband of the late Fern Lily Calkins (nee Verrett) and the late Janis Calkins (nee Wessling). Loving father of Beth (Robert) Sobon, Diane (Dan) Verner, Michael Dever. Grandfather of Scott (Julie) Calkins, Franklin (Mary) Calkins, Lily (Karl) Yoder, Brandon Sobon, Bily Sobon, Lindsay (Randal) Lamkin, Haily Sobon, Megan Dever, Melissa Dever, Nikki (PJ) Costa and Jessica (Alan) Macaulay. Brother of Clara Jacko, Helen Moses, Levi and Herman Calkins. He is also survived by 13 great-grandchildren, 8 great-great-grandchildren, nieces, nephews, other relatives and many friends. Preceded in death by his wives, parents, and son Gerald Calkins. 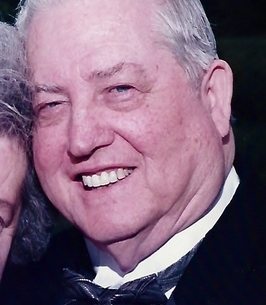 Franklin served in the U.S. Navy, was a longtime member of the First Congregational United Church of Christ in Lake Geneva, WI as well as a long-time volunteer at the Arbor Village and VFW post. A gathering of friends will take place on Sunday, September 16, 2018 at the Highlands of Geneva Crossing (721 S. Curtis Street, Lake Geneva) from 2 to 4p.m. as well as the Beaulieu Funeral Home in Newberry, MI on Saturday, September 22, 2018 from 9 to 11 a.m. with a service at 11 a.m. Private interment will be at the East Lakefield Cemetery. Steinke-Lazarczky Funeral Home and Cremation Services of Lake Geneva, WI is proudly serving the Calkins family. To send flowers to the family of Franklin J. Calkins, please visit our Heartfelt Sympathies Store.